Regular beds have 1 high pressure face tanner. Super beds have 2 high pressure face tanners. Low Burn - High Tanning Ratio. 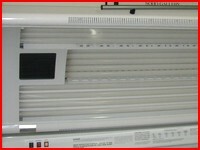 Sun Capsule has been the industry leader in tanning booths for over 30 years. 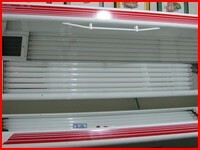 The newest booth at Ansley Beach Tanning Salon. Sun Capsule 60 -200W Lamps with a built in fan cooling system.